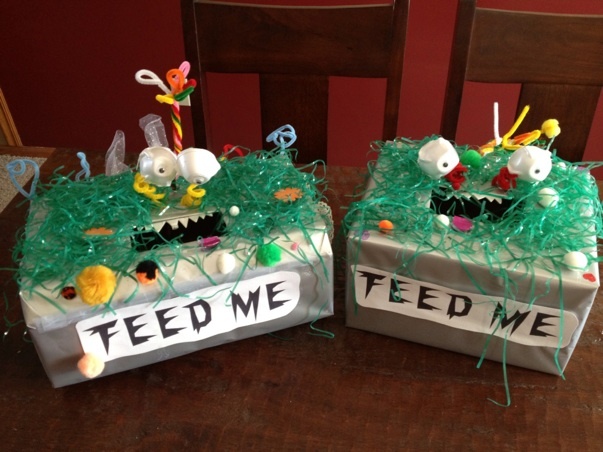 These little monsters got quite the fill of candy and love! McClain's is on the left and Carson's is on the right. What's better than cursive and glitter? we played Tower of Love. 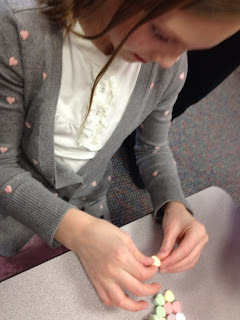 The record was nine stacked conversation hearts! 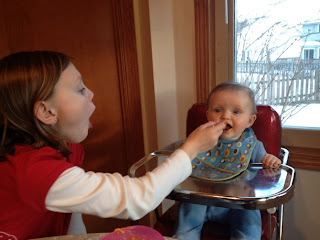 The best helper in the world? This sister right here can get him to open his mouth wider than anyone else! 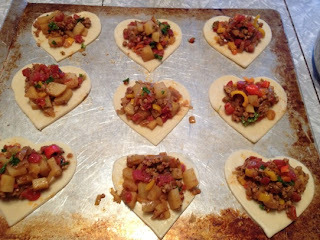 With a little inspiration from Epicurious, we created these fun heart empanadas! Brown chorizo and onion in a large pan. 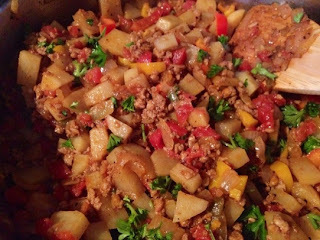 Add cubed potato and juice from tomatoes. Cook for 5 minutes or until potatoes are cooked. Stir in tomatoes, peppers, parsley, and cumin. Salt and pepper to taste. 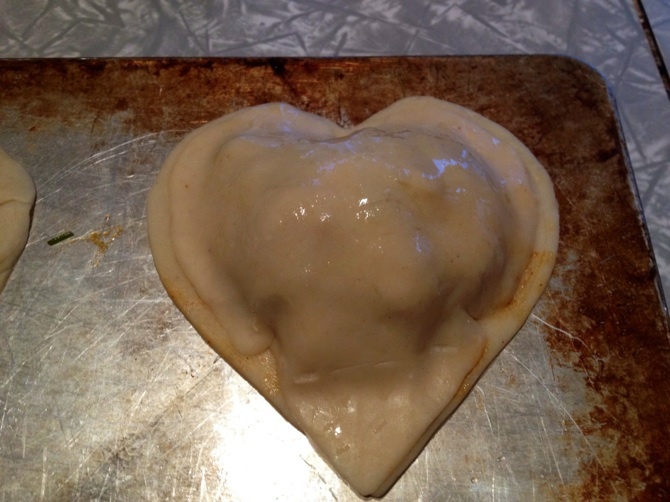 Roll out pie pastry and cut heart shapes. 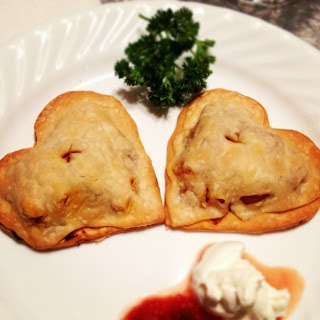 Fill with meat and vegetable mixture. Top with another heart and seal edges. Brush tops with a little olive oil. 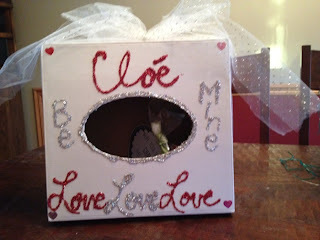 fun valentine boxes! and empanadas look yummylicious! Looks like such a great day! And the food looks SO yummy :). We did class parties, and baked some goodies as well :). 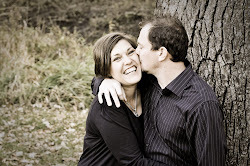 Londa, I am so challenged by you (in a good way). I have so many intentions on making holidays special and fun days...fun, and then the business of life creeps in and I let it all slide away. 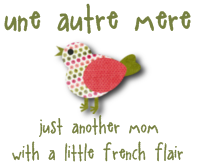 I'm motivated to get back up and keep on trying! Thanks for sharing your life!